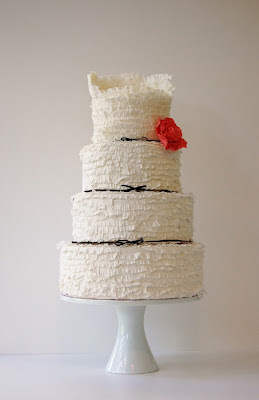 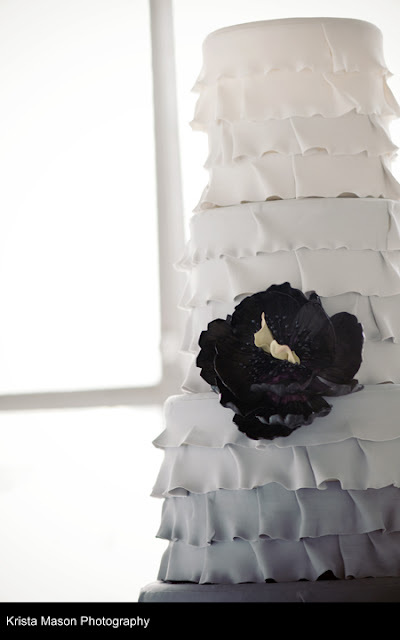 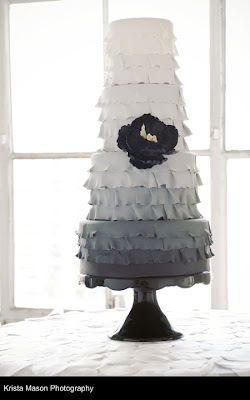 Stunning black and white ruffle cake, very chic and sophisticated. 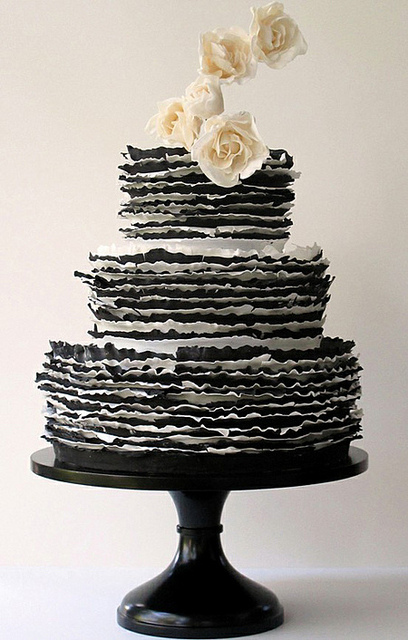 Set over three round tiers a black and white striped ruffle cake with cream colored sugar roses on top. From Super Fine Bakery we have a black and white gradient / ombre effect ruffle wedding cake. From Charlotte's Cupcakes we find this wonderful wedding cake design with white ruffles set over three tiers with elegant and tasteful black bows. Here is another variation on the theme of the cake above.